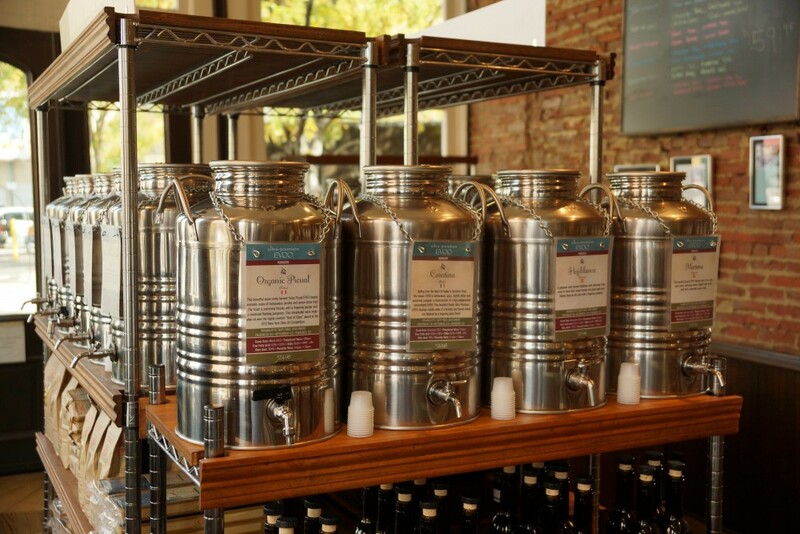 Our Olive Oil and Balsamic Vinegar blog highlights all things olive oil and balsamic including trends and information which affect YOU the consumer when making olive oil and balsamic vinegar purchasing decisions. LADIES & GENTLEMEN THE SKY IS NOT FALLING! Wow I read this article and once again scratched my head. Why do they spread such fear, do they have any clue of what they’re writing about? Long story short, our Worldwide supply at EVOO Marketplace is just fine! As we’ve been preaching year after year for the past ten years it’s NOT about the country of origin, instead it’s all about lab testing which ensures FRESHNESS, PURITY, and the HIGHEST QUALITY all of which influence the HEALTH BENEFITS of every EVOO! This means that if one country has a bad crop year other countries from both Southern and Northern hemispheres should compensate. These articles always paint two countries as the ONLY countries in the World that produce Olive Oil and that is simply NOT true. Yes, Spain is a major Olive Oil producer and exporter but against popular belief Italy exports very little of the good Olive Oil. Most of the so called Italian “EVOOs” found in stores are nothing more than olives grown or oils produced in another country which are imported into and bottled in Italy just to obtain the Italian stamp. The real story, short; we at EVOO Marketplace work with a Worldwide importer/grower who sources the PUREST, FRESHEST, HIGHEST QUALITY Extra-Virgin Olive Oils from estates in both Northern (U.S.A., Greece, Italy, Spain, North Africa) and Southern (South Africa, Chile, Peru, Uruguay, Argentina, Australia) Hemisphere countries. This means that we will always have a FRESH EVOO available! Equally as important, ALL of our EVOOs are rigorously LAB TESTED to ensure PURITY, FRESHNESS, and QUALITY all of which directly relate to the HEALTH BENEFITS of each specific EVOO. Comprehensive lab testing is critical because without it the consumer is blind in their purchase (more on that subject in blog sections below). Currently we have ten of the World’s finest Extra Virgin Olive Oils available with many more on their way! In regards to the chef in the article, maybe he should purchase from us, as our prices have held steady for years. Slight increases are to be expected with every commodity but we promise not to play into the fear and jack our prices up! So take a deep breath and if there truly is an Olive Oil shortage this coming year lets hope it’s a shortage in the garbage Olive Oils infiltrating our market. Please read sections below on how to tell if an EVOO is good or bad. WHAT THE HECK IS A CHEESE CURD? Growing up in Wisconsin there was never a question as to what a cheese curd was. 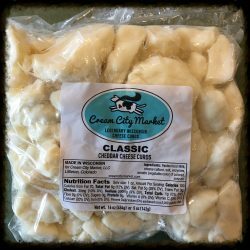 Since we’ve started offering FRESH cheese curds at our metro stores the question comes up on nearly a daily basis along with the question-“What do you do with them?” To put it simple; cheese curds are cheese, not an alien life form, and you eat them. In more detail, cheese curds are the byproduct formed when the curd is separated from the whey during the cheese making process. The result is a glorious gastronomic delight. Cheese curds are also commonly referred to as “Squeaky Cheese”. The squeak of the curd is the most important aspect when determining if the cheese curd is FRESH. 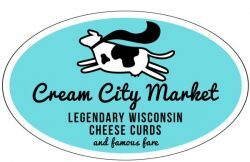 We at EVOO Marketplace are super lucky to work with a local company Cream City Market who provides us super FRESH Squeaky Cheese Curds each and every week from Wisconsin. If they DON’T SQUEAK they’re NOT FRESH! Some are White and some are Yellow, what’s the difference? Same life-form except White Cheese Curds are devoid of the NATURAL ingredient Annatto. Annatto is made from the pulp of the Achiote tree and is used to turn cheese yellow. It’s completely harmless and flavorless. So now that we understand this cosmic treat what the heck do you do with them? Another simple answer; you eat them! Let the cheese curd come up to room temperature for maximum squeakiness. Pop them in your mouth for a snack. toss over a salad, make Poutine (a Canadian gastronomic treat), deep fry them, nuke them, skewer them with sausage, make a grilled cheese curd sandwich, make a cheese curd quesadilla, cheese curd mac and cheese, pat into a cheese curd hamburger, or whatever your cheese curd heart desires. 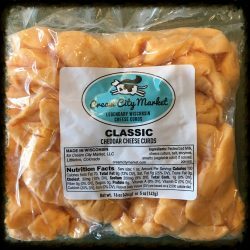 Where to buy FRESH, SQUEAKY, Cheese Curds? 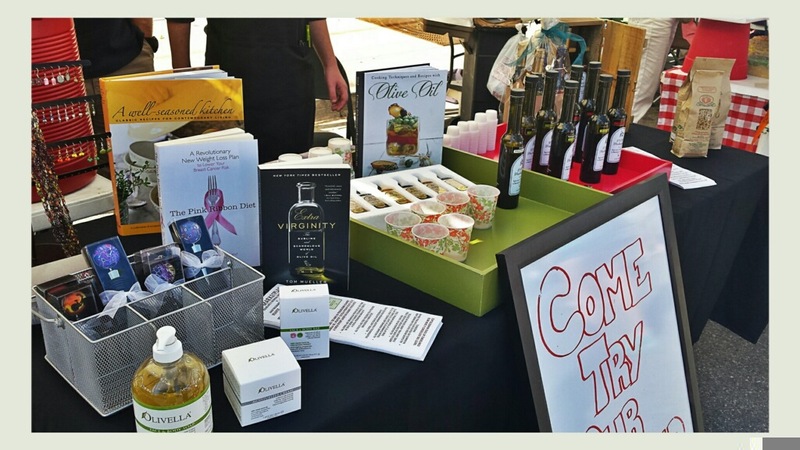 Cream City Market at their various outdoor markets and event shows along with both EVOO Marketplace metro stores. Besides offering phenomenal classic cheese curds we also have garlic & dill curds, jalapeno curds and mozzarella whips. Please keep in mind supplies are limited weekly so that we can maintain the freshest cheese curds possible. We’ve had numerous customers mention this article that has been circulating around FaceBook and the Internet. Yes there is truth to this article but unfortunately because of loose industry standards there are far more than just 14 “fake” olive oils. Overall, I’m not a huge fan of the term “fake” as we are dealing mostly with three industry problems; CUTTING (DILUTING), FRESHNESS and/or both. In regards to Cutting/Diluting of an EVOO with another inferior oil then yes the term “Fake” is valid. When referring to FRESHNESS, the EVOO may have started off legitimate (Pure & Fresh) but over time, sitting on a store shelf, the EVOOs’ chemical properties naturally drift toward RANCIDITY. The EVOO may still be PURE but you can kiss the HEALTH BENEFITS goodbye! When the majority of commercially available “EVOO’s” DO NOT list the OLIVE HARVEST/CRUSH DATE the consumer has NO IDEA of its FRESHNESS. 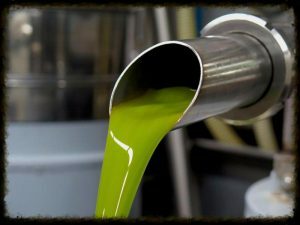 provides on how to tell if an EVOO is legit is completely MISLEADING and based on Oz mythology. Yes, it is true that monounsaturated fats will become semi-solid when cooled (refrigerated) but the PROBLEM is that ALL OILS (Fats) SOLIDIFY WHEN COOLED to varying degrees. For example, COCONUT OIL, a SATURATED fat, is SOLID at room temperature (YUCK). With that in mind, there is no way to tell the purity of an Olive Oil by a cooling test! Differentiating between “FAKE” and “THE REAL DEAL” is exactly where our business finds its niche. ALL of our Extra Virgin Olive Oils are RIGOROUSLY LAB TESTED. We analyze six physical metrics of the olive crop shortly after harvest/crush. Taken together, these olive properties tell us PURITY, FRESHNESS, QUALITY, HEALTH BENEFITS, SMOKE POINT RANGE, and the HEALTH/QUALITY of olives at the time of harvest/crush. The stringency for our EVOOs to be considered retail worthy is set extremely high compared to the loose Olive Oil industry regulations. What this means is that YOU the consumer can have the utmost CONFIDENCE in our EVOOs being legit. As we’ve preached so many times, without the NUMBERS (Lab Results) the consumer has NO IDEA what they’re purchasing. Furthermore, industry “certifications/labels” without LAB RESULTS are nothing more than a MARKETING distraction. The lab test numbers level the playing field and allow for comparisons to be made across the Extra Virgin Olive Oil industry. As always, we hope you shop with us but we are also realistic and understand it’s human nature to be tempted. 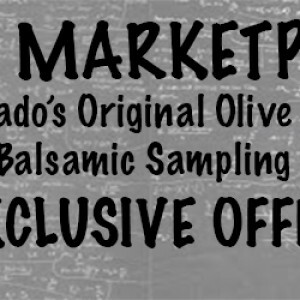 Fancy bottles, high prices, special labels/symbols/certifications, or stores that look “similar” to our original Colorado concept mean absolutely NOTHING if the reseller cannot provide FULL lab test results for each and every “EVOO” they offer. A note about California EVOO’s-YES we love them, and YES we love to support the United States economy. In fact, we currently have three amazing FULLY LAB TESTED California EVOOs in stock. 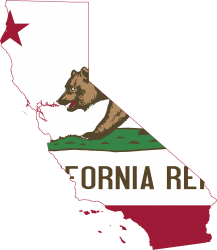 Although California has made great strides to ensure purity of EVOOs produced in California the STRINGENCY and COMPREHENSIVENESS of lab testing still does NOT compare to the Ultra-Premium Standard, which we adhere to. The problem here is not necessarily purity but rather FRESHNESS and QUALITY. As an EVOO ages it’s intrinsic HEALTH BENEFITS decline. With that in mind, it’s safe to assume that if a certified pure EVOO sits on a big-box store shelf for an undetermined amount of time without knowing the exact harvest/crush date then the HEALTH BENEFITS of that specific EVOO are unknown and most likely LOST. Point being, without comprehensive lab testing and knowledge of the olives’ harvest/crush date health benefits cannot be implied. This is true for ANY EVOO coming from ANY COUNTRY and is the exact reason why country of origin is meaningless. At the end of the day, isn’t the reason for intake of EVOO all about the HEALTH BENEFITS ascribed by the Mediterranean Diet? I’ll save the ORGANIC discussion for another time but keep in mind the same argument above holds true for “Organic” certified. The Organic label doesn’t mean it’s of the highest quality or that it has an indefinite shelf-life. It just means it was grown under certified organic conditions. Long story short; ONLY comprehensive, stringent lab testing along with the date of olive harvest/crush will provide the consumer with knowledge of PURITY, FRESHNESS, QUALITY, and HEALTH BENEFITS of a specific EVOO. For more information please visit our FAQ section on our website. Wow, seems the CBS 60 Minute piece & the Denver Post article on adulterated/authentic olive oil has everyone buzzing. It’s all good and it’s nice to see national & local awareness being brought to this aspect of the food industry. 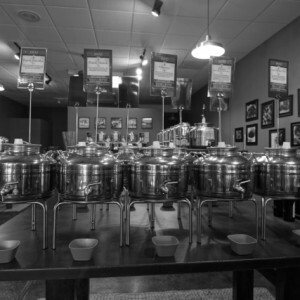 As Colorado’s original olive oil & aged balsamic sampling room we have been preaching the subject of how do you know your EVOO is authentic for years. Educating the consumer on PURE & FRESH Extra-Virgin Olive Oil & AUTHENTIC Barrel Aged Balsamic Vinegar is an integral part of our business and is what makes us unique. In addition to our in-store expert knowledge our website contains a wealth of information on these topics. We also highlight this subject in our “Don’t Get Fooled ” section of our newsletter each month. Unfortunately, the flood of imposter products is all around us including grocery stores (YES, even the so-called “healthy/whole” ones), malls, farmers markets, and other boutique olive oil shops. 1. Knowing the Olive Harvest/Crush Date. 2. Having a complete EVOO CHEMISTRY PROFILE. WHY ARE HARVEST DATES & CHEMISTRY PROFILES ESSENTIAL? Profile the consumer has NO CLUE as to the QUALITY, PURITY, or FRESHNESS of that EVOO!!! It doesn’t matter where the EVOO comes from Italy, Spain, Greece, California, Australia, South Africa, Chile, Argentina, or Grandmothers farm, without this information the consumer is left guessing. Point being, having a set of specs provides the consumer with a baseline to compare each EVOO against one another, a way to level the playing field. 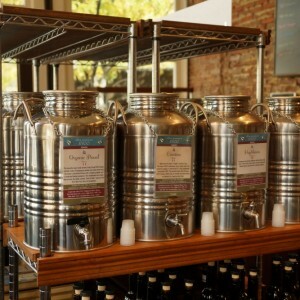 This is precisely what makes EVOO Marketplace special and unique as we don’t just say the EVOO is ” the best “, but rather we provide our customers the Chemistry Profile for each EVOO and allow them to sample so they can make an informed purchasing decision. Honestly in our shop one could close their eyes and choose any of our chemistry profiled, award winning EVOO’s as they are all of the highest quality! A critical piece of information which helps establish FRESHNESS/AGE of a specific EVOO. PURE, FRESH, HIGH QUALITY EVOO has a shelf life of ~18 months depending on storage conditions and Chemistry Profile (certain chemical compositions allow for extended storage). "Use Before" or "Best Before" terminology is NOT a CRUSH/HARVEST date. A complete Chemistry Profile is essential to knowing the FRESHNESS, PURITY & QUALITY of a specific EVOO. Having a partial list of the metrics below does not suffice!! Relates to integrity of the olives at time of crush, Quality, & Smoke Point. Poor quality fruit (olive) will have high FFAs. 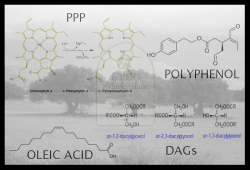 High FFAs = Low Quality EVOO. Low FFAs = Increased Smoke Point. Relates to HEALTHY Monounsaturated Fat levels (MUFAs), Purity & Quality. 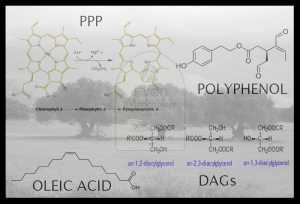 EVOO’s cut/diluted with another oil can be detected by analysis of Oleic Acid content. Olive Oils South of 55% LOOK OUT!! Relates to healthy antioxidant levels, Quality, Freshness & Smoke Point. 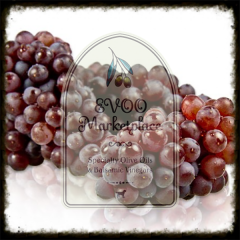 High Polyphenols = Increased Health benefit & Increased Smoke Point. Relates to the integrity of the olive at time of crush, Freshness & Quality. High Peroxide content (exposure to air) = poor/aged fruit = low quality = low quality EVOO. Relates directly to Age or Freshness of the EVOO. High DAGs = fresh unripe fruit = high quality EVOO. Relates to the Age, Ripeness, and Freshness of the EVOO. 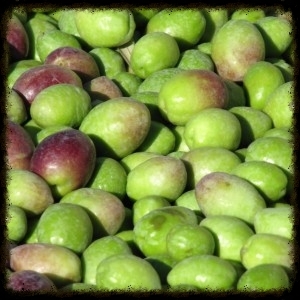 Low PPPs = high quality unripe fruit = high quality EVOO. the marketplace the consumer needs to be educated!!! As we always hope you will shop with us and with confidence we do realize temptation exists. Our best advice- if you visit another olive oil shop, no matter where, and they can not provide the Harvest/Crush Date AND complete Chemistry Profile for a specific EVOO then we recommend you don’t waste your time or money!! Today ONLY in recognition of Western Welcome Week take 10% off four or more 12.7oz bottles of FRESH OLIVE OIL and/or BARREL AGED ITALIAN BALSAMICS. 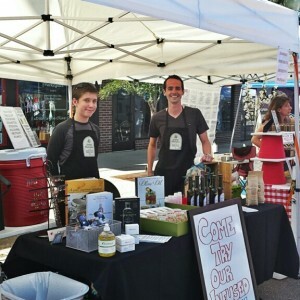 Visit our Littleton store and stop by our booth for a sample of our famous Honey Ginger Infused-Green Tea (until we’re tapped out) and take advantage of the hundreds of unique artisan craft booths throughout Main Street. 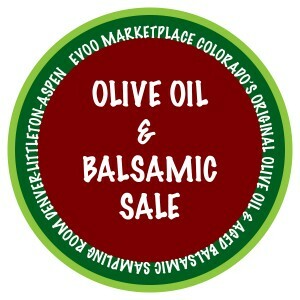 OLIVE OIL & BALSAMIC CASE SALE TODAY! FACEBOOK FLASH SALE-Today take 15% off a case or more of 12.7oz bottles of our authentic barrel aged Italian balsamics and super fresh extra-virgin olive oils and flavored olive oils. Excludes current offers or sales items. 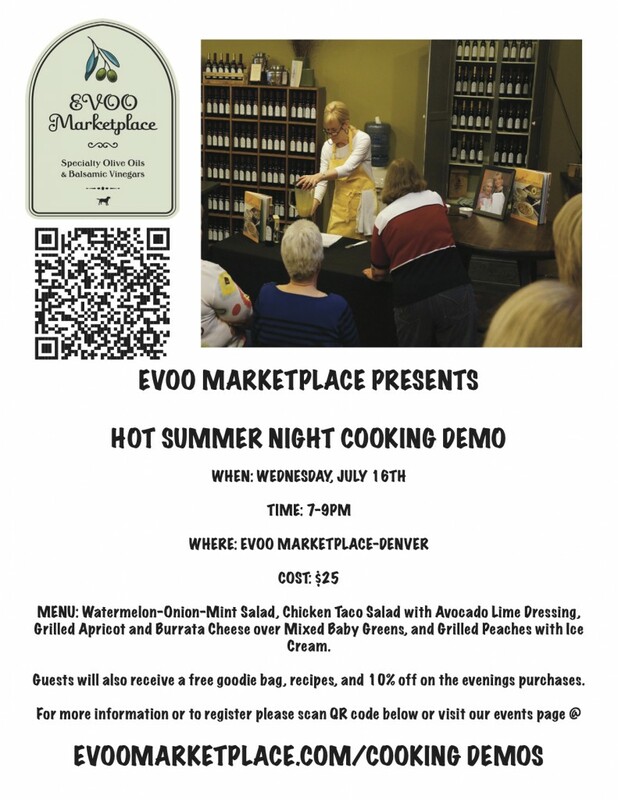 Don’t miss out on our Hot Summer Night Cooking Demo tomorrow with Gold medal winning author Lee Clayton Roper. Registration closes at 5pm today (Tuesday, July 15th). For more info and/or to register please follow the link below. We hope you can attend!! 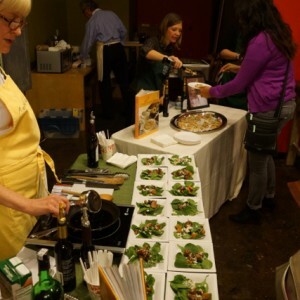 EVOO MARKETPLACE IS HIRING-Be a part of Colorado’s original olive oil and aged balsamic sampling room! We are looking for candidates who enjoy using our products and working with customers. For more information and/or to apply please click link here. Please feel free to contact Mike- mike@evoomarketplace.com with any questions. We look forward to meeting you! Facebook Exclusive Offer-Today and tomorrow only take 15% off six or more 12.7oz bottles of olive oil and/or balsamic vinegars. Also receive a free EVOO Marketplace tote bag!!! Please mention Facebook Special to our sales associates to receive discount. Online orders $100 or more use coupon code “FACEBOOK15“. Offer valid June 21st-22nd. Cannot be combined with any other specials, discounts, coupons…. Next week is coming fast!! 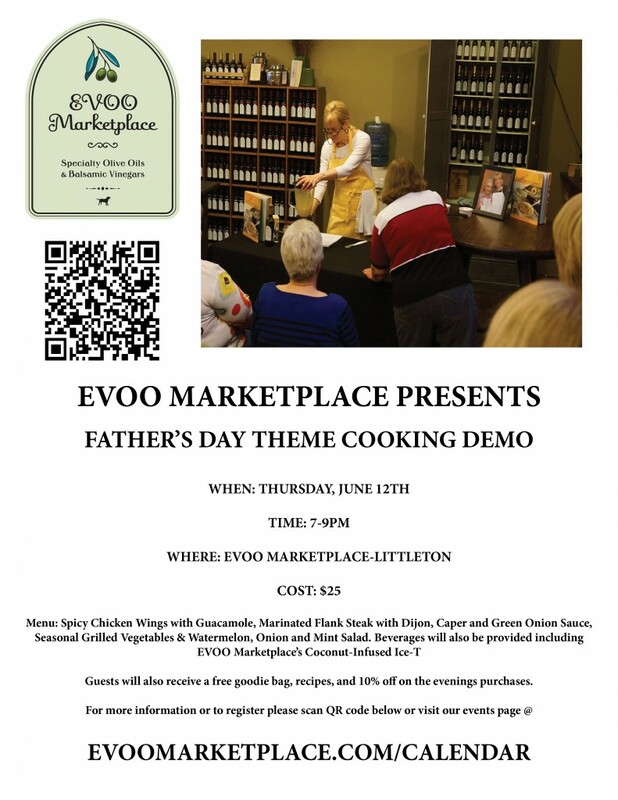 Join us for our Father’s Day themed cooking demo with chef and gold medal author, Lee Clayton Roper. Click here or attached flyer for more information and/or to register. We hope you can make it! 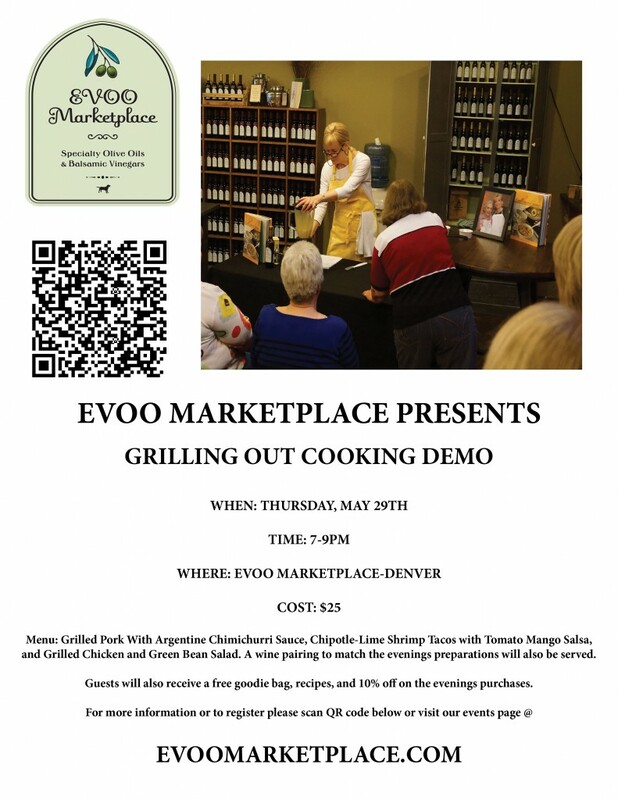 Only 5 spots remain for our grilling out cooking demo this Thursday night at our Denver location. For more information and/or to register please click here. Take advantage of these fantastic deals now through Sunday (online through Memorial Day). 10% off 12.7oz bottles totaling $75.00 or more! Online orders use coupon code: “MEMORIAL10” during checkout. 15% off 12.7oz bottles totaling $200.00 or more! Online orders use coupon code: “MEMORIAL15” during checkout. 20% off 12.7oz bottles totaling $300.00 or more! Online orders use coupon code: “MEMORIAL20” during checkout. Today through Mother’s day take 10% off our four and six pack samplers. The perfect gift for Mom! Don’t know what to choose- well we make it very simple, each of our four & six pack samplers are preset based on our most popular olive oil & balsamic combinations. Click here to view our entire gift set collection please visit our online store or feel free to swing by one of our local shops. Offer valid through Sunday May 11th. Cannot be combined with any other offers. Online shoppers use code “MOM10” during checkout. 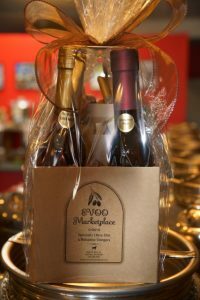 Just a reminder that our 10% off Mother’s Day Olive Oil & Balsamic Gift Set Sale is still going on through this Sunday. Say thanks to Mom by giving her one of our four or six-pack olive oil & balsamic sampler sets. Don’t know what to choose- well we make it very simple, each of our four & six pack samplers are preset based on our most popular olive oil & balsamic combinations. 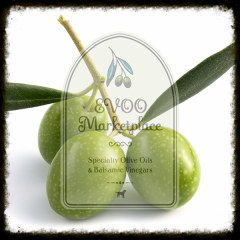 EVOO MARKETPLACE EXCLUSIVE OFFER-SOLD OUT! 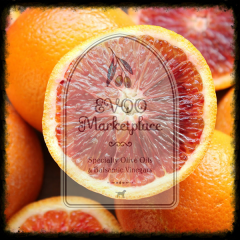 Update 4/30/14 (5:15pm) We greatly appreciate everyone who purchased an EVOO Marketplace Coupon. Coupons are now sold out and the ticket window is closed. Please remember you may start redeeming your coupons on 12.7oz bottles starting tomorrow, May 1st at either our Denver or Littleton locations or via our website. The coupon window is closing quickly! Less than 24 hours (or until sell-out) remain to purchase this exclusive savings offer. After Wednesday, April 30th, at high-noon, no other coupons will be issued. If you have not already purchased one you don’t want to miss out on our biggest savings of the year. Please read the Q/A & Tip section below before purchasing. OFFER: Purchase a coupon for $20 and use that towards $30 worth of 12.7oz bottles of olive oil and/or barrel aged balsamic vinegars. That is a 33% savings!!! WHEN CAN I USE MY COUPON? Coupon redemption period STARTS May 1st and ENDS July 31, 2014. If you try to use your coupon code prior to May 1st, 2014 it will be rejected. WHAT IF I FORGET TO USE MY COUPON CODE BY JULY 31, 2014? If you do not use your coupon by July 31st, 2014 the purchase value of $20 will still be redeemable for eternity. WHAT CAN I PURCHASE WITH MY COUPON? The coupon is ONLY valid on our standard size (12.7oz) bottles of olive oil and/or barrel aged balsamic vinegars. We stock everything in that size so we are confident you will be able to find at least a couple of bottles. The coupon is NOT valid on 6.8oz bottles or pour spouts. The coupon can NOT be combined with any other sales or offers. WHERE CAN I REDEEM MY COUPON? Coupons may be redeemed in either our Denver or Littleton stores or through our website: EVOOMARKETPLACE.COM. CAN I REDEEM MY COUPON AT A FARMERS MARKET? No, we do not stock all products at the local farmers markets we participate in and want you to have a complete selection when making a decision. HOW MANY COUPONS CAN I PURCHASE? Only ONE coupon may be purchased per household. Any duplicates will be refunded. We issued a limited number of these coupons and we want all of our valued customers to enjoy this fantastic deal. TIP: If you would like to forward onto a friend or family member you can do so by clicking on the email icon inside the offer. You can also “like” the offer on Facebook to spread to your Facebook friends. HOW DO I PURCHASE A COUPON? Coupons MUST be purchased either through the email that went out on Sunday April 27th or by clicking on the banner above or by following this link: http://conta.cc/ROxLFb. Coupons can NOT be purchased in our stores or through our website. Constant Contact handles the issuing of coupon codes which is independent of our internal systems. Coupons are available now through Wednesday, April 30th (12:00pm MST). We are excited to pass this fantastic savings opportunity onto our highly valued customers! 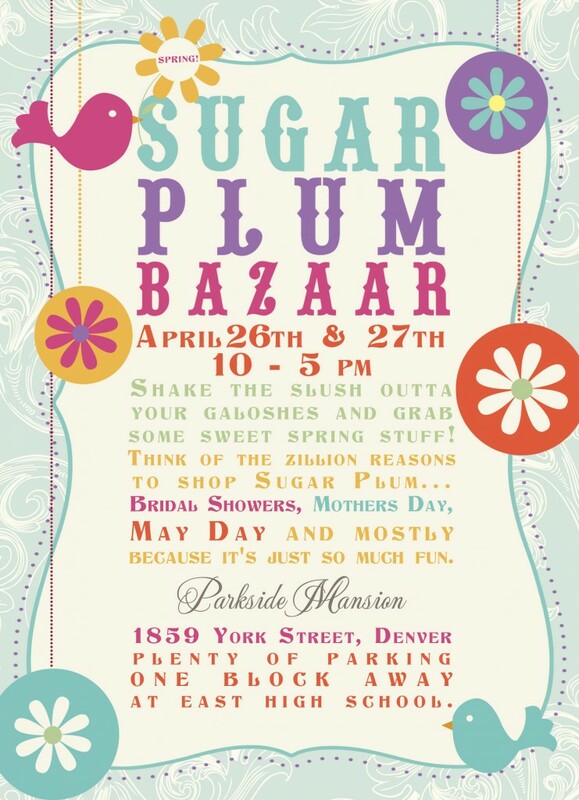 SUGAR PLUMING IT THIS WEEKEND: Join us this weekend at Denver’s Parkside Mansion for the annual Spring Sugar Plum Bazaar. You don’t want to miss out on this one. 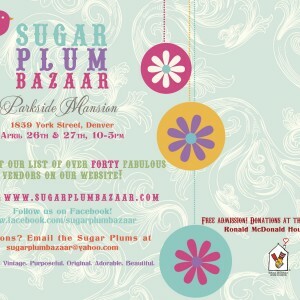 The Sugar Plum Bazaar is the finest around offering unique handcrafted products that will truly impress!! We will be located in the Kitchen so please don’t be shy and say hi. Please click banner for more information on the event! 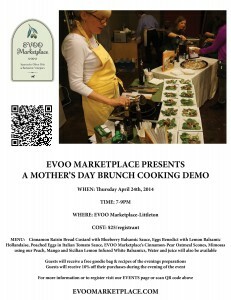 Just a friendly reminder that tomorrow, April 23rd is the last day to register for our Mother’s Day Brunch Cooking Demo with chef Lee Clayton Roper this Thursday from 7-9pm at EVOO Marketplace-Littleton. Only 4 spots left so these may go quick. Click here for more information or to register. We are excited to see you this Thursday evening!! 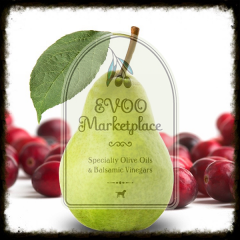 EVOO MARKETPLACE HOLIDAY SALE IS ON!! Just a reminder that our Holiday Sale is going on now through Saturday, April 19th. 10% off four & six pack samplers and 15% off five or more 12.7oz bottles of olive oil and/or barrel aged Italian balsamics. 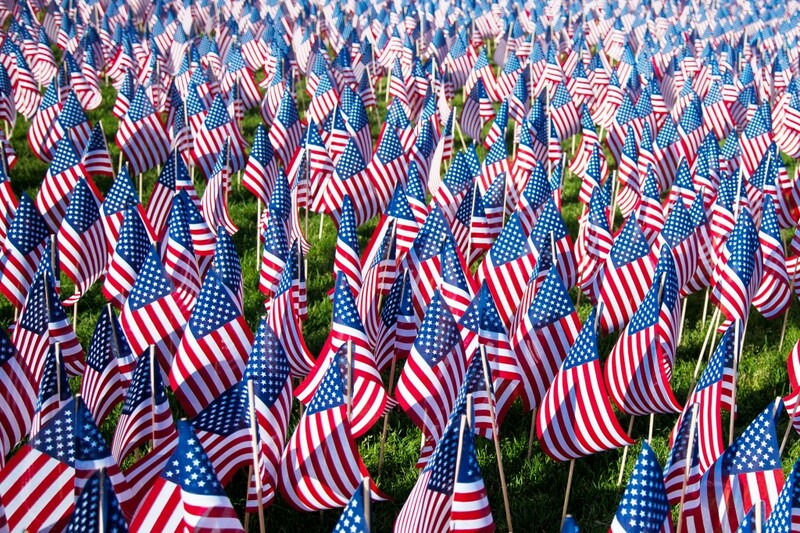 We wish everyone a safe and enjoyable holiday weekend. Reminder our stores will be closed Easter Sunday. The best way to keep extra-virgin olive oil FRESH is to follow the Planet’s Northern and Southern hemisphere olive crush cycles. EVOO Marketplace’s handpicked extra-virgin olive oils are the finest in the World and exceed all extra-virgin olive oil requirements. We are currently in our Northern Hemisphere olive crush and feature many beautiful EVOO’s from California, Spain and Portugal. We expect to have a handful of Italian EVOO’s available in the upcoming weeks. TIP: Please keep in mind that the olive crop from year to year may vary in flavor profile and intensity. A mild Picual from Spain this year may be Robust next year from the same estate. If you discover one of our EVOO’s that you really enjoy we highly recommend that you consider picking up a couple of bottles as once we are out we are out. To learn more about why our EVOO’s are the freshest and finest please visit our EVOO chemistry profile & FAQ pages. 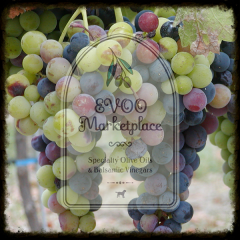 Shop with confidence at EVOO Marketplace! 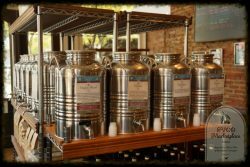 Today Only-Facebook Friends-take 10% off your purchase of 6 or more 12.7oz bottles of olive oil and/or barrel aged balsamic vinegars. Don’t miss out on this great opportunity to stock up (normally 10% off 12 or more 12.7oz bottles)! 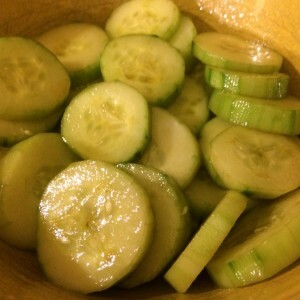 Asian inspired and super healthy our cucumber salad is perfect as a snack or for any special gathering. Skip the Supermarket overpriced microwave popcorn- Here is a super simple and unique way of making a quick, flavorful and healthy bag of popcorn. 2Tbs Green Chili Olive Oil (EVOO Marketplace). 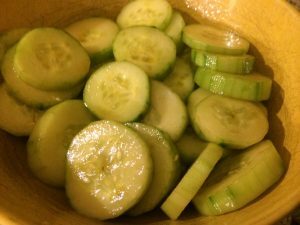 May substitute for Butter, Garlic, Tuscan Herb, or Chipotle infused olive oils. 2. Dump into Brown paper lunch bag and season with salt. Fold opening of bag over 2 times and shake to mix. 3. Place bag on paper towel in microwave and zap for 4 minutes. 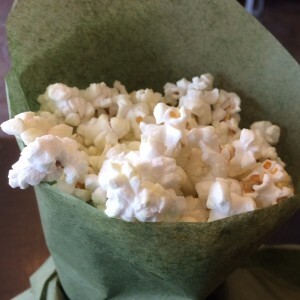 Stop prior to 4 minutes if popping slows to a kernel or two every few seconds. 4. Be careful when opening bag as steam is hot. 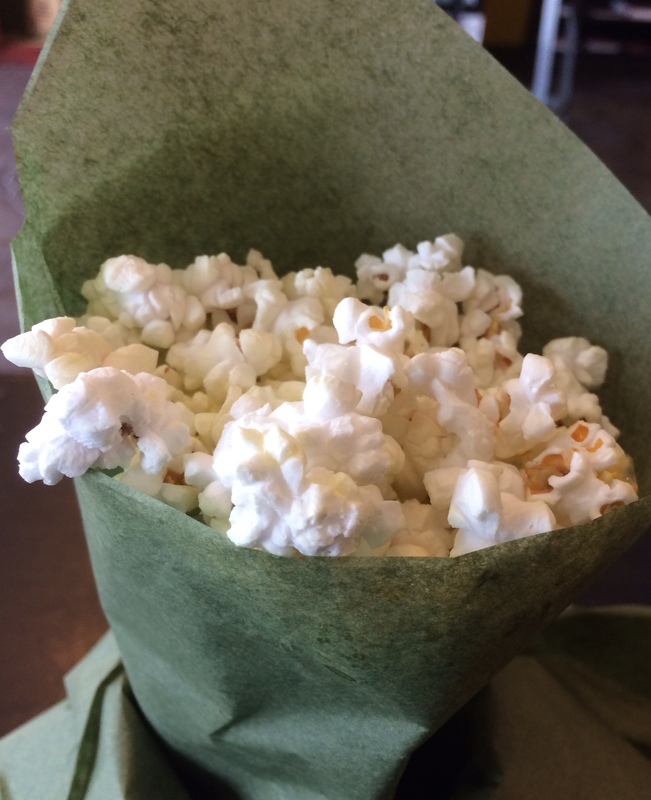 Drizzle remaining 1 Tbs Green Chili Olive Oil over popcorn. Shake bag vigorously to mix.